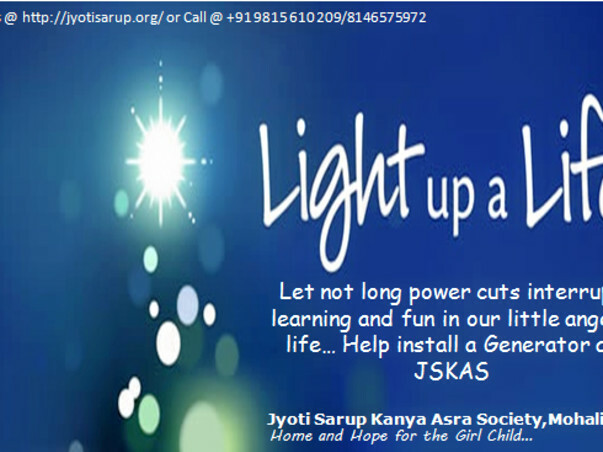 Fund a Generator at Jyoti Sarup Kanya Asra - Completed ! 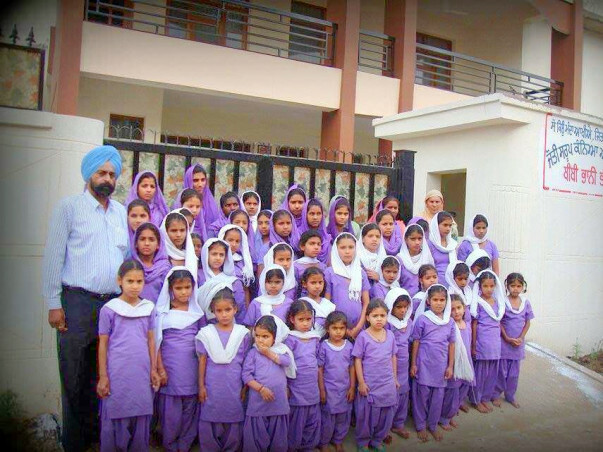 He started the orphanage with nine orphans girls, who had lost their parents during bad times in Punjab. Since then he has dedicated his life to such orphan and abandoned girls who are devoid of love and care. Subsequently Dr. Singh was joined by other like minded and generous persons aiming for the betterment and upliftment of such unfortunate divine souls.Due to generous contribution of the well wishers in India and aboard JSKAS today is a home to over 100 girl children ,providing them a home full of love, care and affection. The girls today go to schools and dream of a bright and happy future ahead! The orphanage being located in suburb of Chandigarh/Mohali (Kharar) often faces power cuts. Recently the orphanage had to continue its operations in dark owing to a 2 day power cut. To make things worse there are voltage fluctuations and often the fan/light wont function. The kids are having a hard time in darkness and the heat. The orphanage being home to 105 kids the fridge is often stocked with food items. The same is wasted owing to a dysfunctional fridge/cold storage. Currently the orphanage has inverters to keep the lights up during a power cut. It is proving to be a costly affair, thanks to electricity needed to charge the batteries or battery replacements. Also the inverters are not able to run all the electrical equipment in the premises! In order to cater to the above problem we at JSKAS have decided to install a generator in the premises. It is a much more efficient way for providing uninterrupted power supply to the orphanage . Not only will it be able to run nearly all electrical equipment but it will also be a more economical alternative for the orphanage in a longer term. 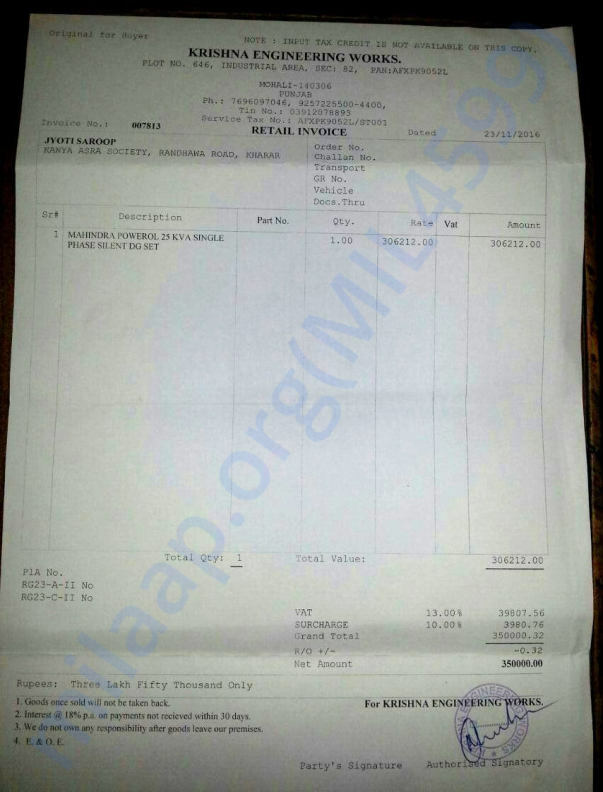 A generator is supposed to cost the orphanage around Rs 2.5 lacs (2,50,000 INR). A fund raiser campaign was initiated over facebook/whatapp by volunteers of JSKAS and so far we have been able to collect Rs 200000. We are short of Rs 50,000 and seek your help for this noble cause. Kindly donate and make a difference to the lives of our divine angels! In case of questions please reach out to Founder,JSKAS - Dr Harminder Singh at +91 9815610209. Please mail us at jskat_new2000@yahoo.com. Installation of Genset is complete. Thank You so much for your support. 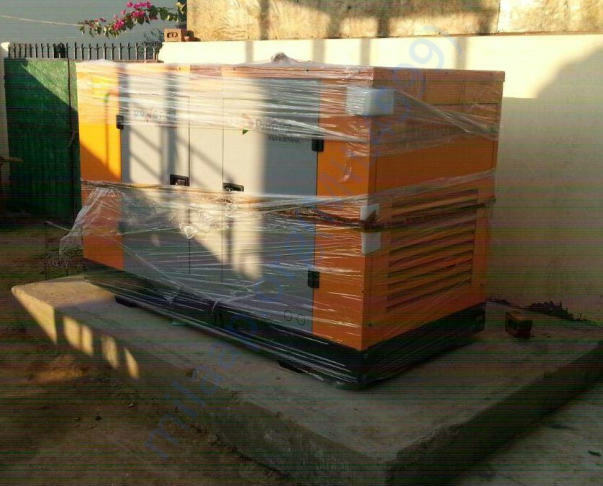 UPDATE ON GENSET INSTALL@JSKAS – WE ARE SHORT OF RS 36,400 ! We want to thank you all from core of our heart for supporting us and our efforts in educating the divine angels of JSKAS. Your help,support and love have been pouring in every step we have been taking for towards upbringing of our beloved daughters. We feel ourselves extremely lucky to have you all with us. We have finalized the generator unit we will be installing at our campus premises. Quotation was sought after from 3 different vendors and decision was taken on factors such as cost,durability and after ales support. We have zeroed in on SUDHIR Silent DG set (CUMMINS make engine model X2.7-TAA- G1). The total cost of the generator would be Rs 3,86,000 including installation charges and taxes. We have collected Rs Rs 3,49,600 far. We are short of Rs 36,400 . Request you to please spread the word and ask your friends and family to help. We are sure we will achieve our target soon. We are also planning to place the order for the genset as the delivery would take the vendor 15 to 20 days. We will be placing the order with some advance and will keep you all updated on the same. The kids are having a hard time in darkness and the heat. The orphanage being home to 105 kids the fridge is often stocked with food items. The same is wasted owing to a dysfunctional fridge/cold storage. Currently the orphanage has inverters to keep the lights up during a power cut. It is proving to be a costly affair, thanks to electricity needed to charge the batteries or battery replacements. Also the inverters are not able to run all the electrical equipment in the premises!